Cockatoos are crested birds from rainforests, dry regions, and fields of Indonesia and Australia. There are many different species of cockatoos. Cockatoos are long-lived birds. 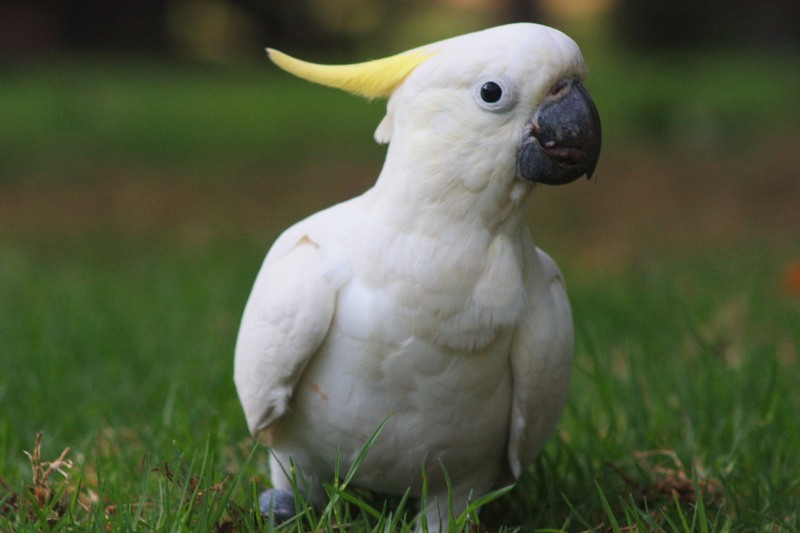 Many species of cockatoo are endangered because of loss of habitat, being shot as agricultural pests, and the sale of the young as pets. The Cockatoo averages about 12 to 15 inches (31-38 cm) long. These parrots range in color from white, pink, yellow, gray, and black; they all have a large, feathery head crest, and a curved bill. Males sometimes have darker feathers or eyes than females; otherwise, males and females are hard to distinguish. Cockatoos eat seeds of grasses, berries, and nuts.